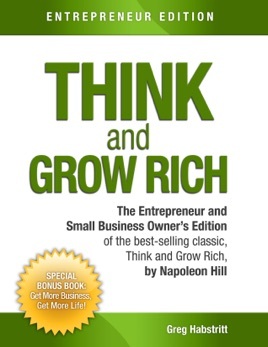 Think and Grow Rich is one of the most popular success book of all-time, having sold more than 60 million copies since it was first published more than 70 years ago. It has created countless millionaires and success stories in those who have read it, and is the standard against which all other success and self-development books are measured. Written by Napoleon Hill, Think and Grow Rich is the result of more than 500 interviews of America’s wealthiest and most successful business owners in the early part of the 20th century. It took Hill 25 years to compile, research and ultimately create Think and Grow Rich, and it was Andrew Carnegie who gave Hill the assignment of creating this masterpiece. Think and Grow Rich reveals the “13 steps to riches” that Hill identified in the extensive interviews he completed, and lays a plan of action out that anyone can follow to create success and prosperity in their life. You’ll enjoy Hill’s original work in this updated and revised version, which includes an additional free bonus of the special report, “Get More Business, Get More Life!” In this ground-breaking work, you’ll learn why most entrepreneurs are exhausted and on the path to failure – and what to do about it. I thought this would be a free copy of the book by Napolean Hill. It turned out to be an expansive brochure for a coaching program. I enjoy learning from a coach and this technique is an effective way to engage the unsuspecting, who are not thinking for themselves right now and need help. However, this is not my case and I was caught foolishly trying to get something for free again and found myself wasting time. Don't get this book, the editor has removed the most important parts that Hill wrote on a 'secret' which runs throughout the book which he challenges us to find. BEWARE and get a correct version! Shame on you Greg whoever you are! This is pointless motivational-speaker talk to sell something where the salesman can blame the customer when it accomplishes nothing. 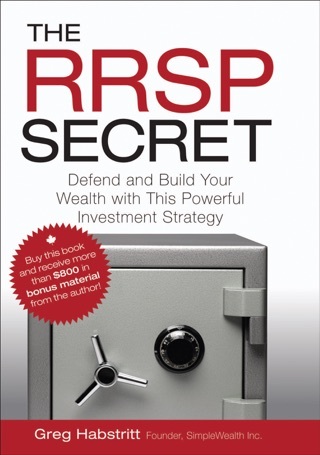 If the things in this book are not natural, common sense behaviors for you already, it is not in your nature to maintain or grow any wealth that would come your way (point proven if you're thinking about all the ways you could spend money if you only had some more). If you manage money well, skip this. If you don't, this isn't going to tell you anything you haven't already heard and dismissed 1000 times...skip it. Anyone getting this with the firm conviction that they can change, I wish you the best, but I defy you to show me any statistically relevant sample of people who changed any fundamental traits without extreme adversity forcing it for survival and who didn't simply take up old habits as soon as the initial motivation wore off or falling back became easier than the change.